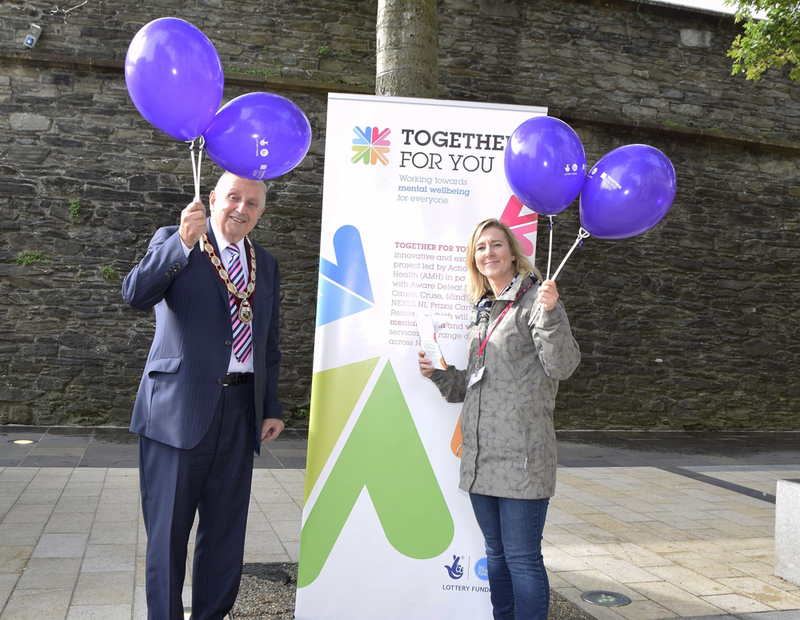 The Together For You partners were out in force on Saturday (10th October) raising awareness of ‘Dignity in Mental Health’ as part of World Mental Health Day in the Maiden City of L/Derry. It was also an opportunity to celebrate the fact that they have reached over 30,000 people across Northern Ireland with mental health services. Together For You is a mental health and wellbeing project funded by the Big Lottery Fund. “The success of this event today in Derry/Londonderry builds on the success of the project as a whole. Reaching over 30,000 people in Northern Ireland is a fantastic achievement for the partners of Together For You. It also means that over 30,000 are more likely to talk about their mental health to others, to seek help when they suffer mental Ill-health and to contribute to reducing the stigma surrounding mental ill-health. Today in Guildhall Square we built on that growing momentum with a fantastic promotional event. Thank you to all who came to visit us”.